The weather is going to be bad for a while, so I packed up my Mak till better days. I installed my plastic adapter and I trust the glue joint after all. If you use the correct ABS glue for the ABS fittings and follow the directions the joint actually fuses together the two parts and its very strong, stronger than the base material. I'm worn out after wrestling these dinosaur bones. I was trying to take a picture of my clutch, I'm very proud of my clutch it works very well but I actually got the idea from Edmund so it not my idea. 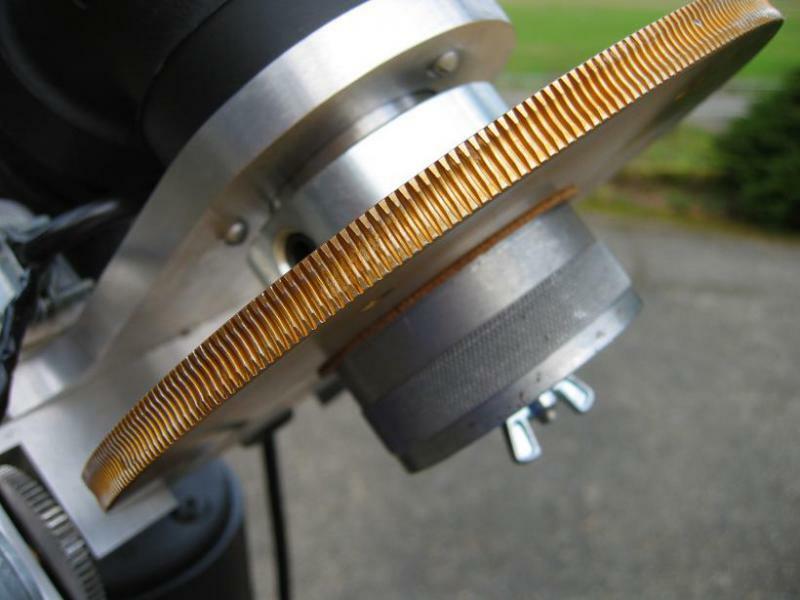 The camera focused on the gear teeth and aren't they beautiful teeth, those are Byers teeth. 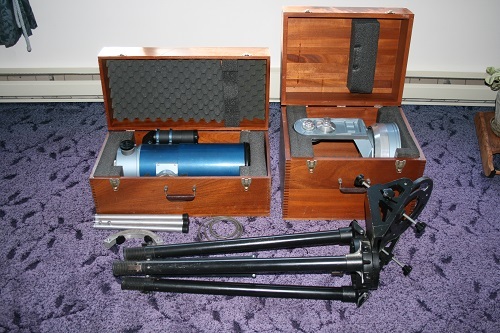 I wish I knew what telescope this gear set came from, anybody know? In the yard yesterday for a photo shoot for the SM twins thread. Here's another teaser. 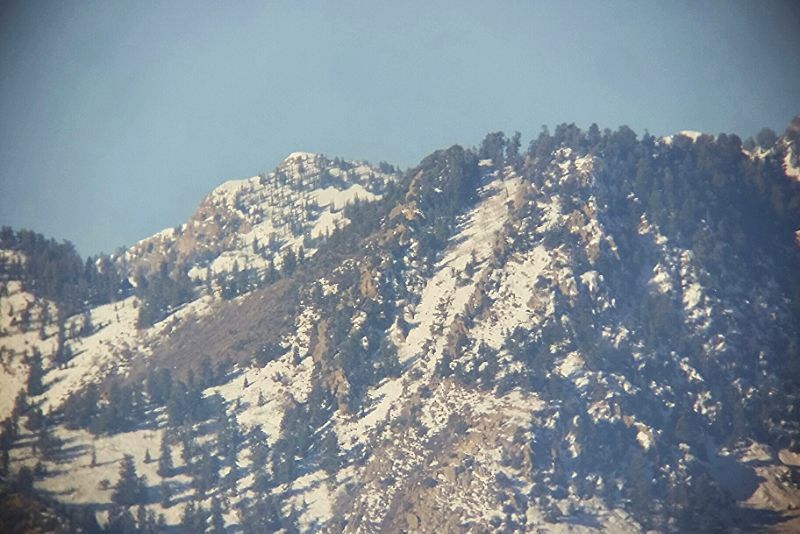 Here'a an afocal cell phone shot, hand-held, of the mountain tops seen in the background of the above photo. 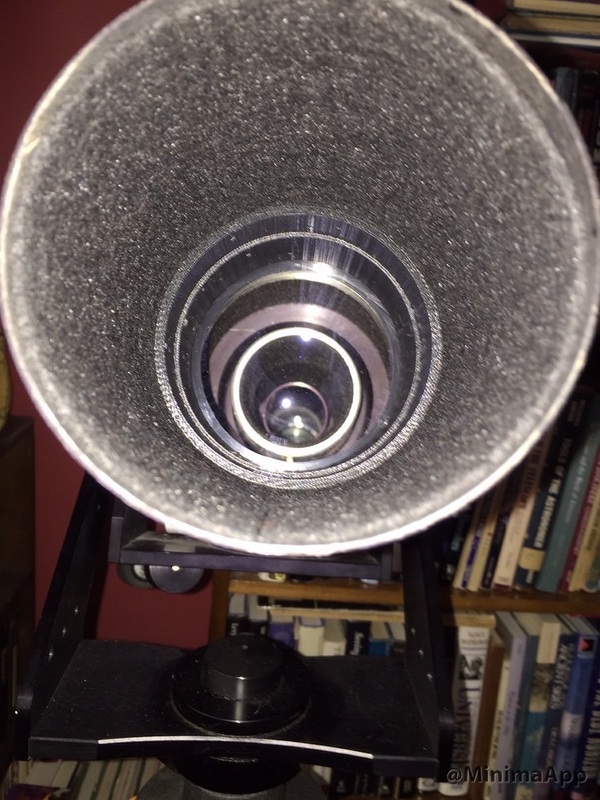 Galoc 16.3mm eyepiece used. Resolution reduced to fit image posting limits. I got my Swift out and set it up. 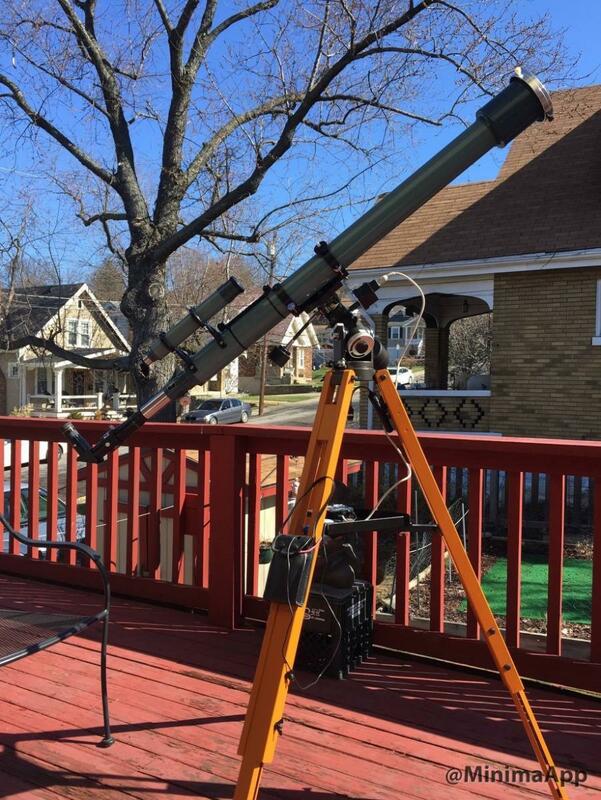 That is one pretty scope, Terra. I do love the Swift refractors! Edited by Vesper818, 19 February 2015 - 05:19 PM. I re-mounted my newly acquired C90 on my C8 today and got some outside pic's. I just cant get enough of this set up, it's by far my most used scope. It really needs some nose weight though. Need to find a period sliding weight setup.  Edited by Compressorguy, 19 February 2015 - 06:02 PM. My plastic adapter works great. As much as I don't like plastic its inexpensive and easy to work with for testing an idea. Edited by actionhac, 23 February 2015 - 12:07 AM. Before leaving for work, I taped up the shiny bits on my monolux altaz mount, in prep for painting in the morning. Edited by Vesper818, 23 February 2015 - 12:04 AM. Painted all parts for my Monolux 40mm, now wait to cure! 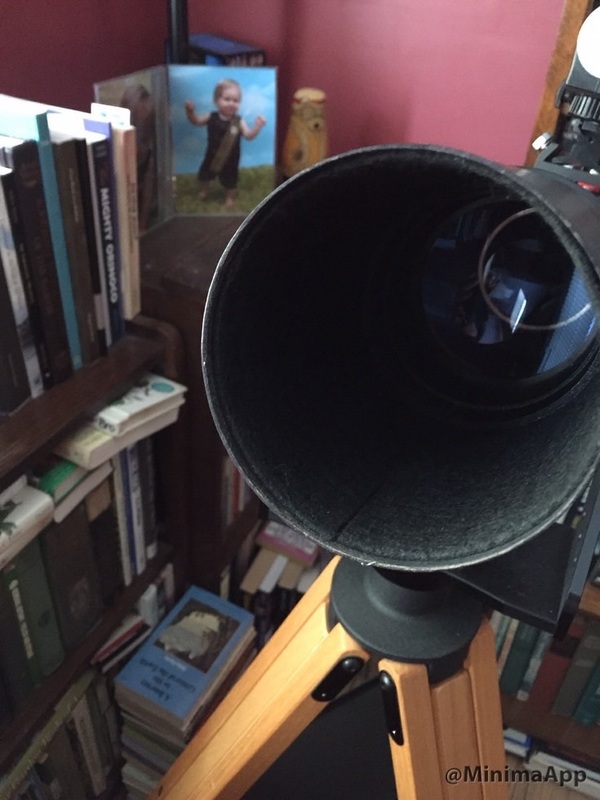 I spent this afternoon in the machine shop making a sliding dew shield for my 4" F/15 Edmund refractor. I have never liked the original extruded aluminum dew shield. It's too short, thin, bell-shaped and cheesy looking. So I decided to make a new heavier, longer sliding dew shield from a length of 1/8" thick 6061-T6 (aircraft grade) aluminum tubing. 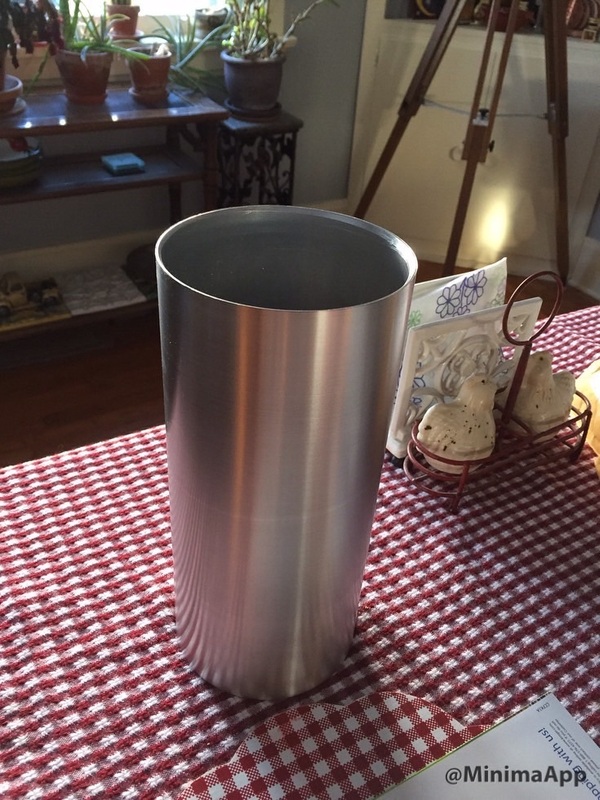 I bought a foot of 4.5" o.d./4.25" i.d. tubing from Online Metals, Today I cut it to 10 inches length. I then took a few hundredths off the outer wall, polished out the surface, and chamfered the edges at either end- the front bevelled outward, the back bevelled inward on the lathe. I will flock the inside of it tomorrow. 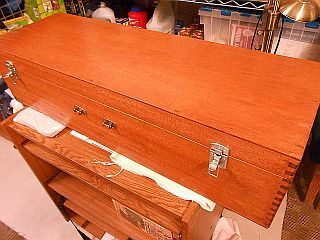 I will also spray a clear coat of polyurethane on the exterior. The original dew,shield will of course be stored. I also finished dew shield for another refractor project as well. Edited by terraclarke, 24 February 2015 - 07:46 PM. Replying to What did you do to your Scope/Mount Today? Scott - that's a beautiful set up you have there...your mod increasing the height of the wedge/OTA is on my short list of projects to accomplish. Working to get some vintage accessories for my C8 and C14. 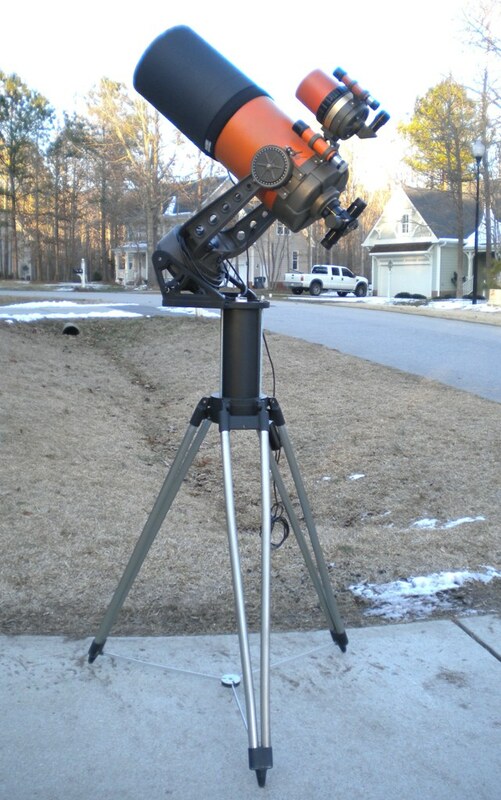 Picked up a piggyback mount and a single axis '70s Celestron drive corrector (in orange) for my C8, along with a counterweight rig (see below). 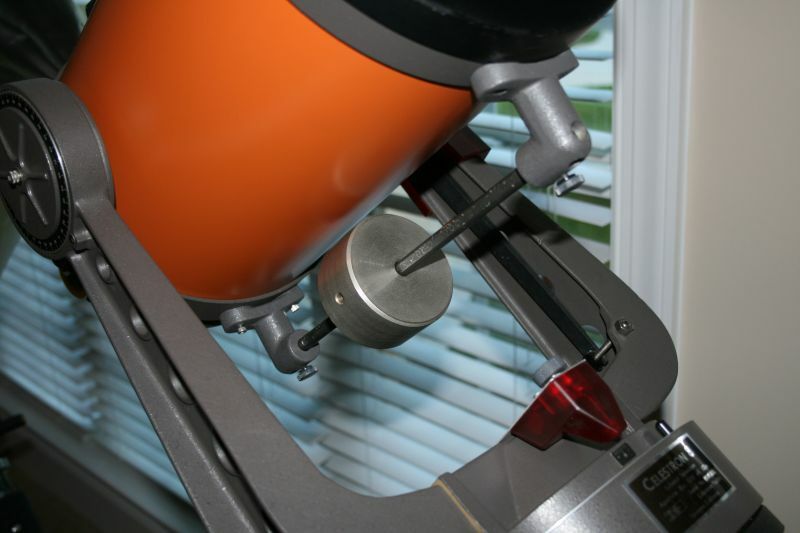 I'll also install my University Optics orange 8X50mm RACI finder at the same time to finish the C8 upgrade. 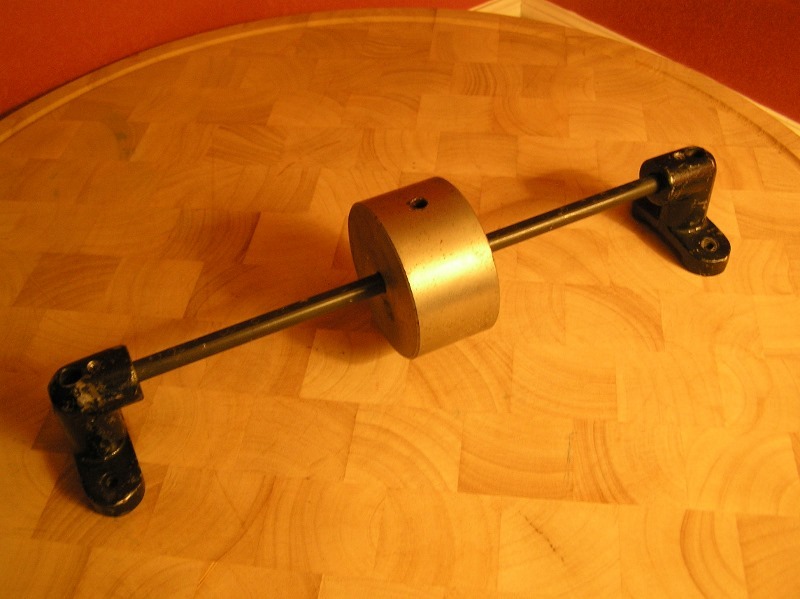 I think the counterweight rig that C8s used was the "stack 'o weights" model that bolts to the front tube ring. 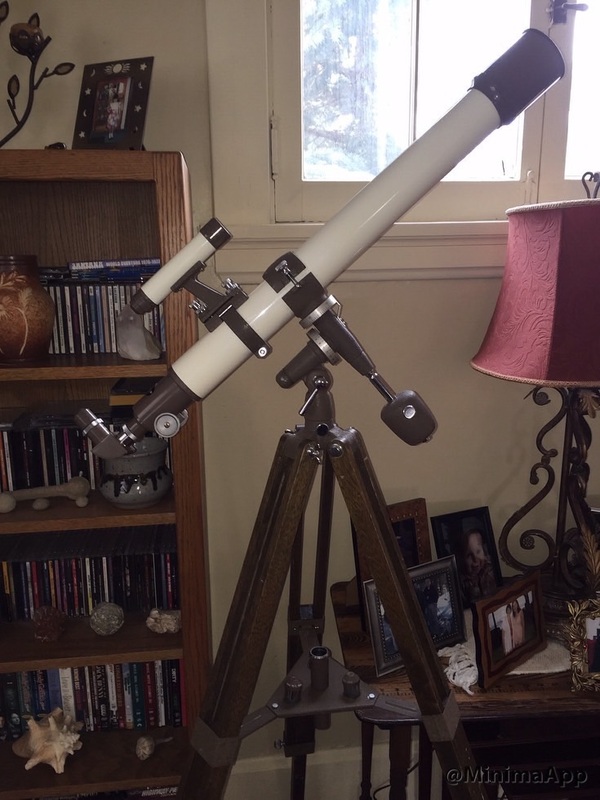 I actually did pick up a sliding counterweight rig for my C8 off the CN classifieds recently...but it looks like a C-11/14 rig with the bar cut to fit the length of the C8 tube...haven't seen it advertised as a stock item in any of the vintage Celestron catalogs I've looked through. I'll post a picture of it shortly. They did sell an 8" version of that in the early 1980s. I had one and returned it since my 1975 C8 was assembled with the front cell clocked a little rotationally and the brackets didn't quite line up. Plus it didn't fit in the footlocker with that attached. 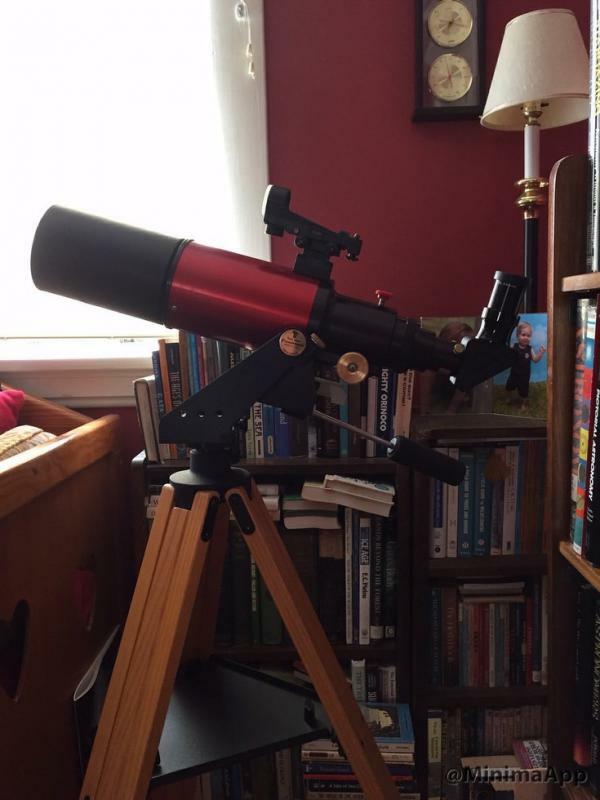 I flocked the new dew shield that I made last week for my 80mm custom red project scope/RFT. 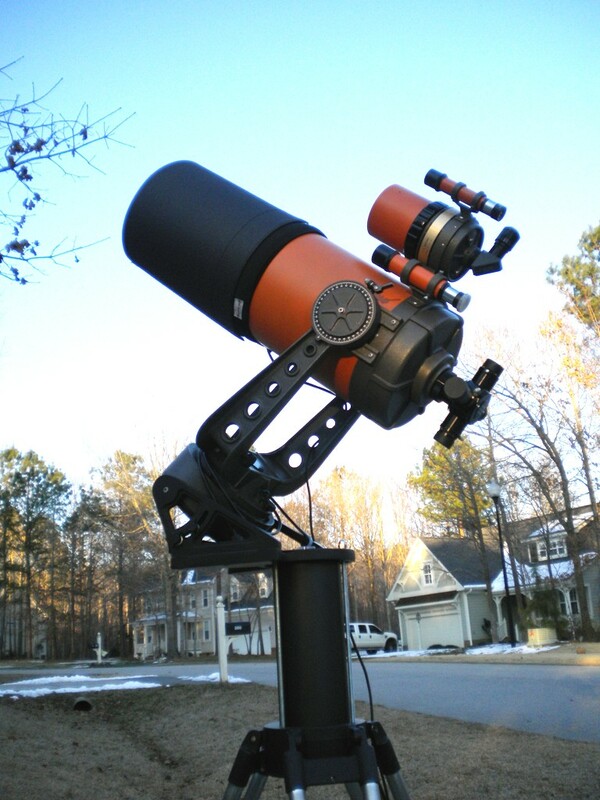 This scope gave amazing views of Comet Lovejoy in January, and the Pleiades and Orion Nebula were beautiful. Perfect view of the Trapezium. The contrast and sharpness are superb! 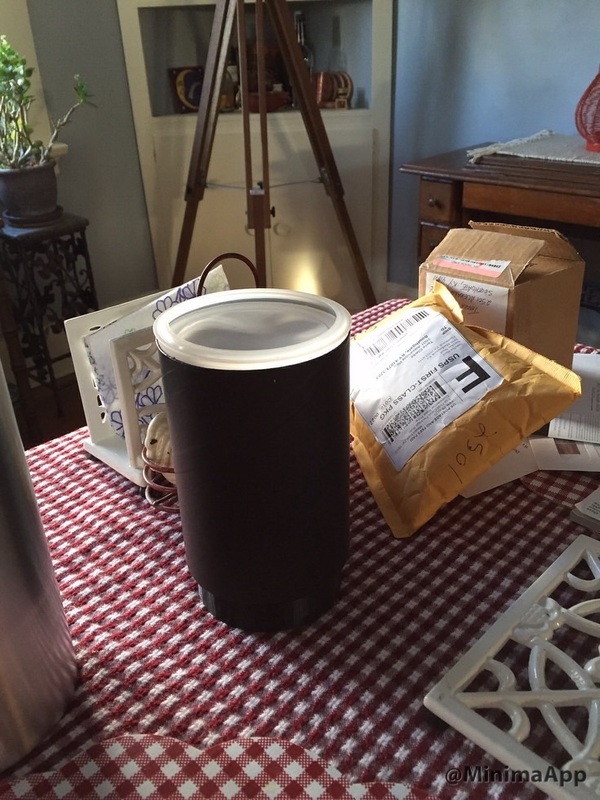 Here is a picture of the kit for my C8. 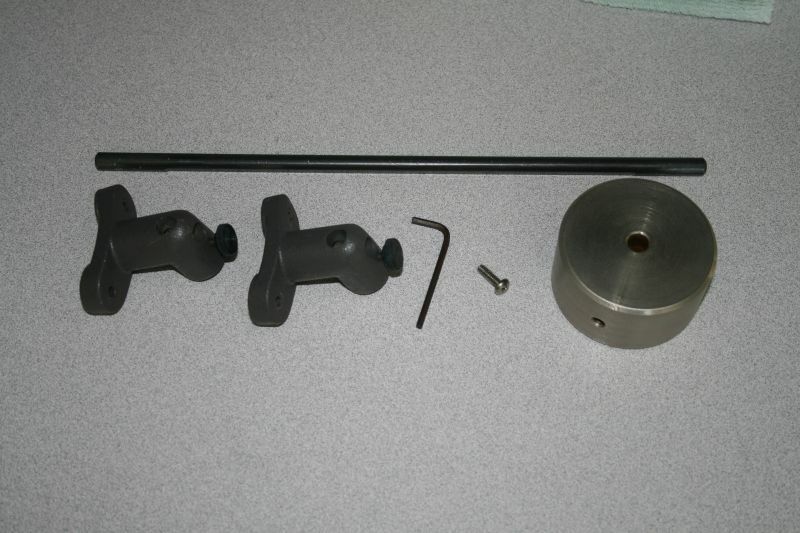 The lower mount attached with two screws through the wings but the upper mount used the single button head screw through the center of the mount that would go in the same hole as the stacked weights. Jon - that's the one I have. The brackets are painted black (they'll be gray soon), and I have setscrews in the brackets for retaining the bar, vice the thumbscrews. I added a Telrad to the Wonderscope and Glowy is furious. 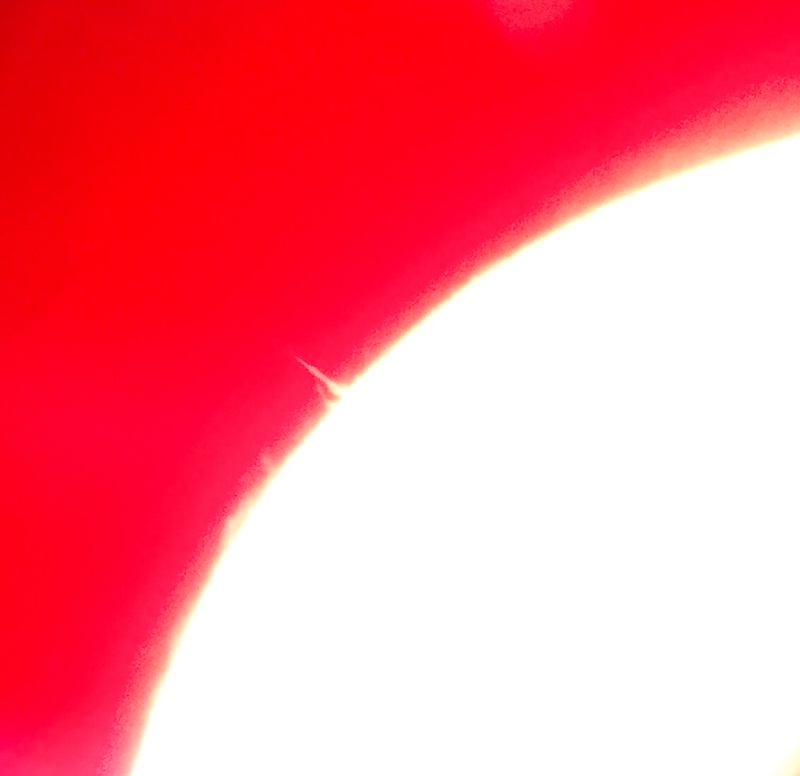 He's been trying to point it at the sun to burnout the reticle. I also added a knob for steering the telescope so I can keep my paw off the rim. I did not drill a hole for the knob there was already one for the spider vane's original location. I marked the knob with a pink arrow. 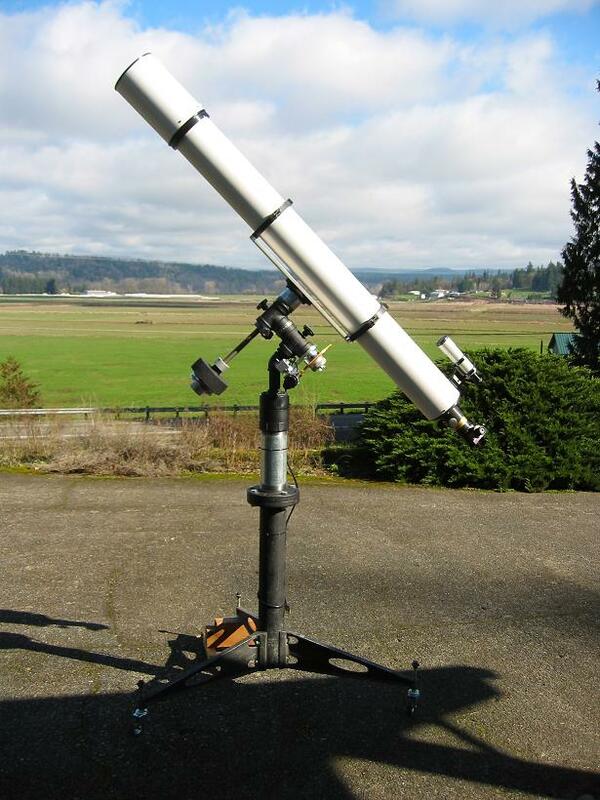 When I finally restore the scope I'll loose this very handy modern convenience. And probably the Telrad will be removed also. 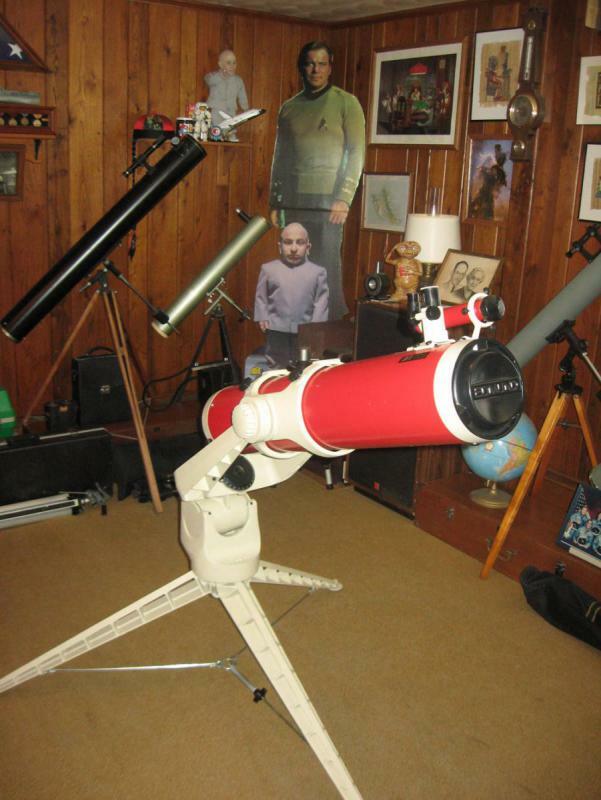 Another thing I'll miss is the Meade focuser you see in this picture. Its a very very good focuser. 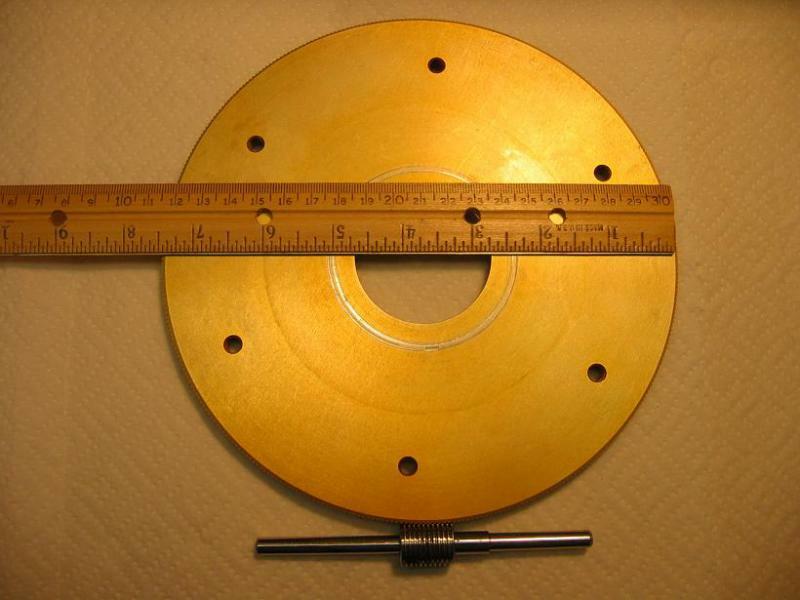 No slop, no shift, its made and machined perfectly square bore to mounting flange. Extremely smooth through the entire range of focus, helical cut rack and pinion gears. I've owned aftermarket focusers like this one before but none were as nice as this one. I'll be restoring the Cave next time earth gets a major asteroid impact and blankets the planet in ash. Otherwise I just can't take it out of service to restore it. 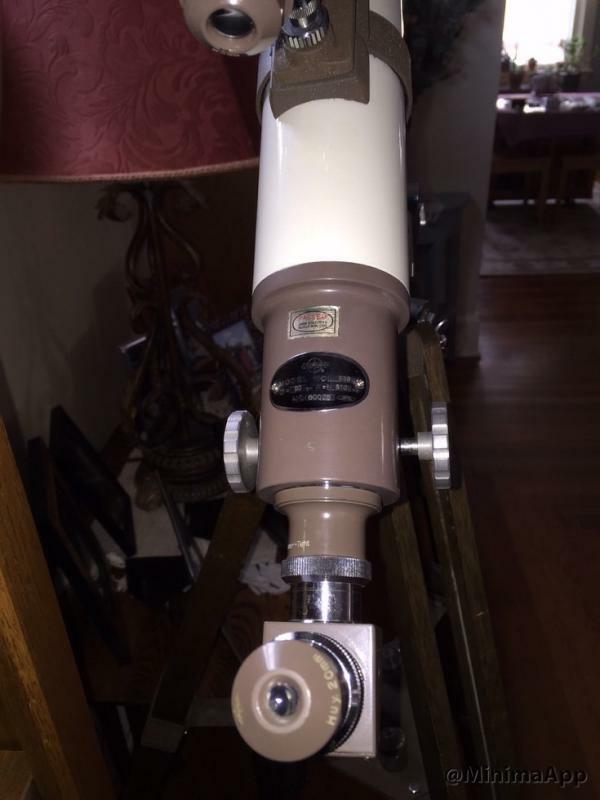 When I do restore the scope it will be 100% original. Nothing as truely skilled as Terra. More akin to the day-laborer, but I love to clean and polish. Worked on my new Selsi 80 box. A little glue (exterior veneer - left front, ripples remain; acc. 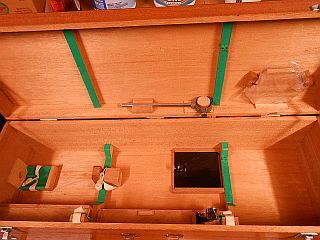 box cover veneer, a few of the odd tie-down bits; case dovetails; and a little oil (3 coats actually of lemon-almond, exterior only). Not to bad, amazing how the surface scuffs disappear. No handle upon arrival. I have a strap-on coming so I can keep the original hardware! 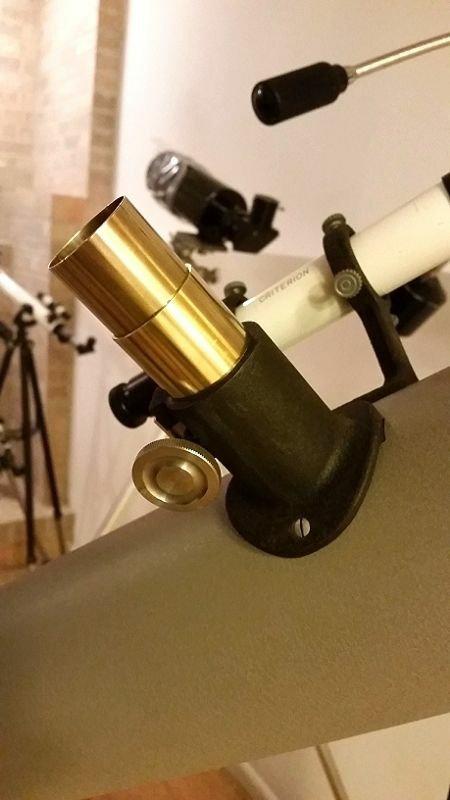 I only had about 20 minutes in the shop yesterday, so I polished the brass focuser drawtubes on the Criterion 4" Deluxe Dynascope. Does Day before yesterday count? 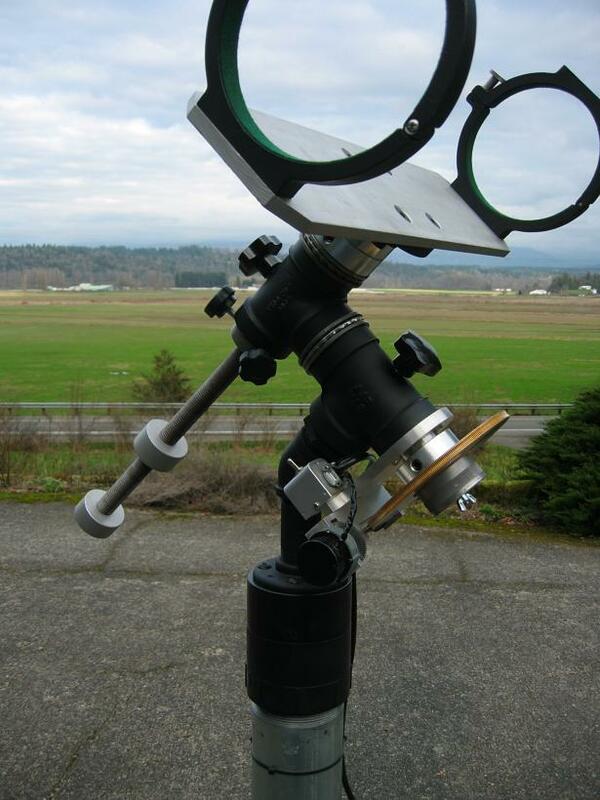 I had my Sears #6344 on theVixen Polris mount set up for solar observing. The day was perfect. Very clear and very little turbulence early in the day. Did H-alpha, Calcium-K line, Sodium D1 and 2, and white ligt viewing. 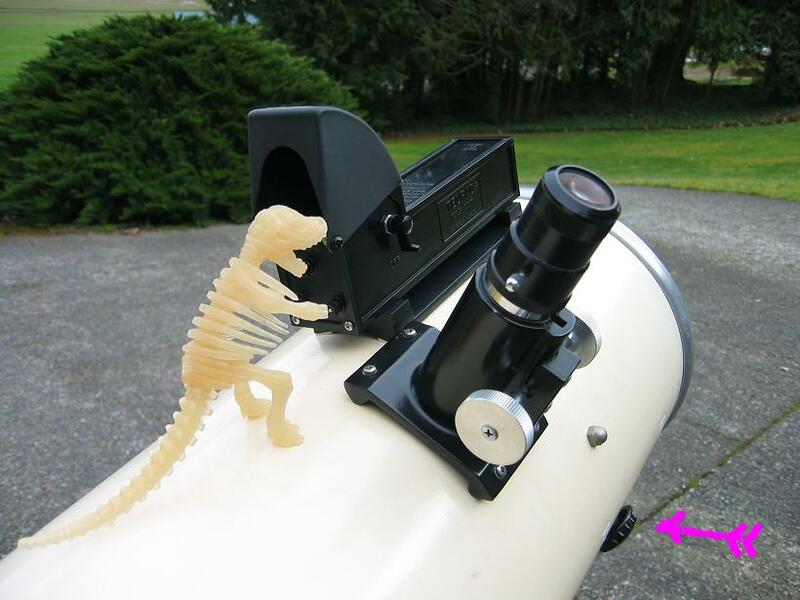 I find this mount to be perfect for this scope. I have put the original Sears #6344 eq. 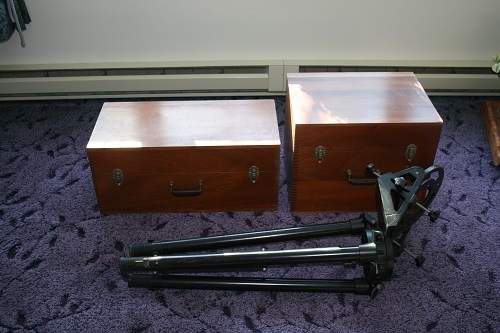 mount and tripod is storage. 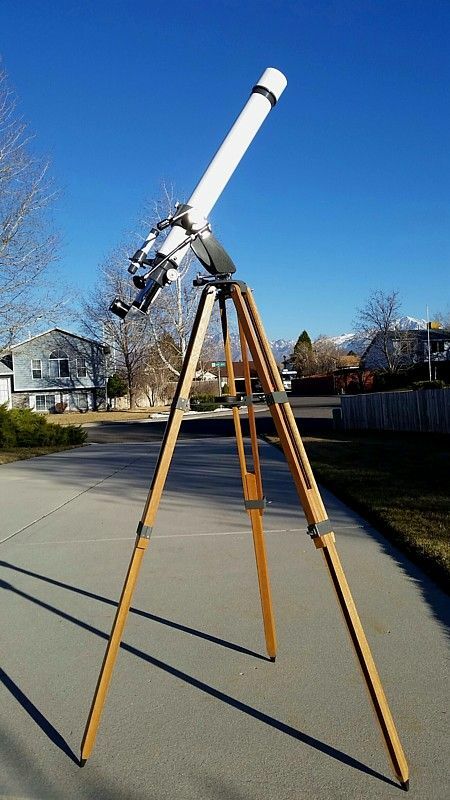 This is the way I will use this scope. It is so smooth and stable.